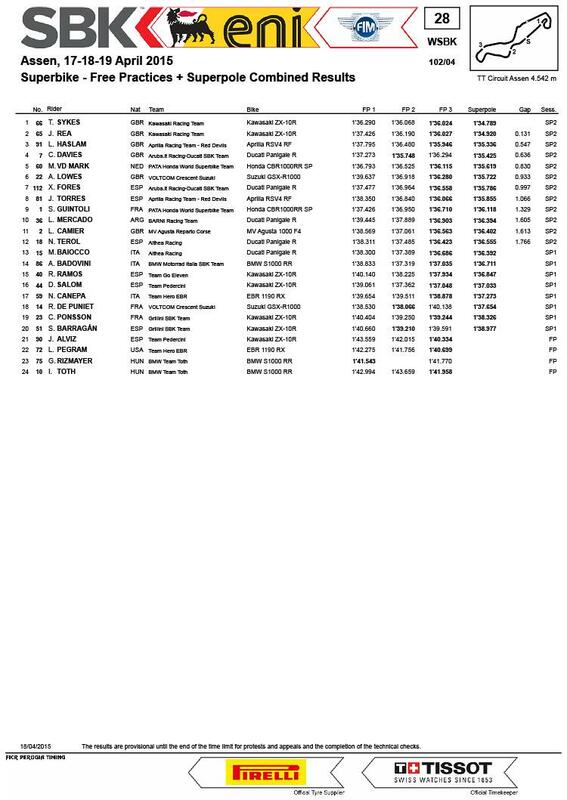 The usual suspects crammed the top of the time sheets in Superpole 2 at the beginning and also at the end and it was Tom Sykes (KRT) who put himself on the top pre-race place. Leon Haslam (Aprilia Racing Red Devils) was fast out of the box at the beginning, with a 1’35.713, just better than Chaz Davies’ (Aruba.it Racing Ducati WSB) best time before Superpole. 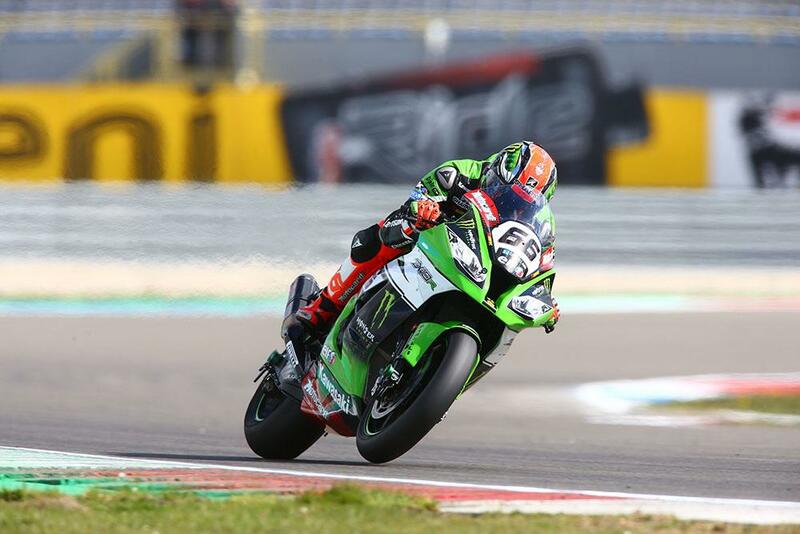 Jonathan Rea (KRT) slid into the lead with a best time of the weekend for a while - 1’34.920 - until his team-mate Tom Sykes piled in with a 1’34.789 to secure his quarter century of career pole positions. Davies, with the bit between his teeth after a strong qualifying period, was on schedule to go fastest but ran wide on one corner in sector three and placed fourth, behind Sykes, Rea and Haslam. Fifth was the local hero Michael van der Mark’s Honda, 0.830 seconds from pole, while Alex Lowes (Voltcom Crescent Suzuki) made a great recovery from some practice electronics issues to go sixth. In Superpole 1, Sylvain Guintoli (Pata Honda) and Leandro Mercado (Barni racing Ducati) made it into Superpole 2, with Guintoli eventually ninth and Mercado tenth.